Wang, Y, Stash, N, Aroyo, L, Gorgels, P, Rutledge, L, & Schreiber, G. (2008). 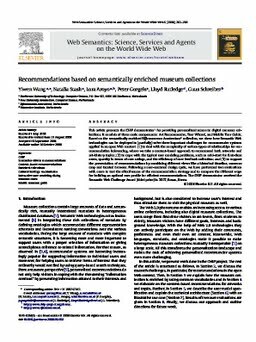 Recommendations based on semantically enriched museum collections . Journal of Web Semantics, 6(4), 283–290.